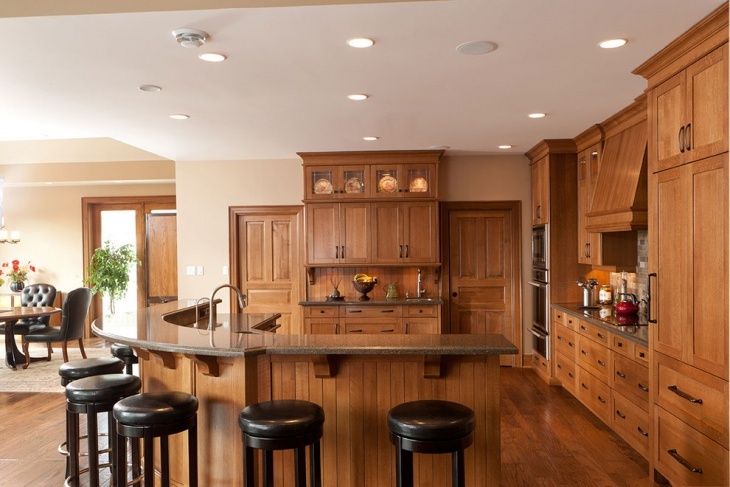 The natural look of wood is always a classic choice for many homeowners. The effortless beauty of the wood provides a sense of home. 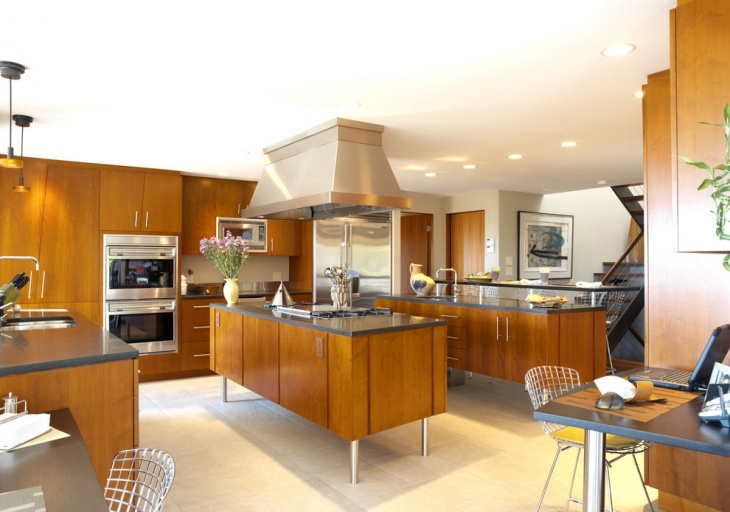 The kitchen should be made in a way that inspires your inner chef to create delicious dishes for your loved ones. However wood can be modern. 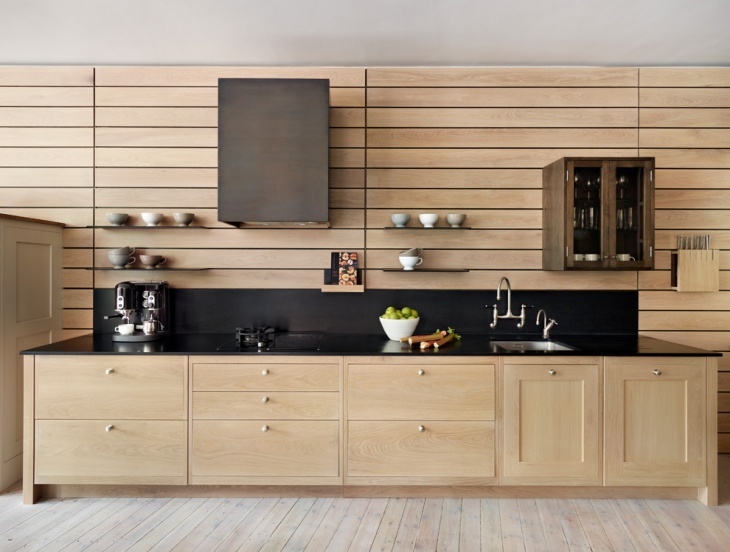 If you plan to get such a modern kitchen made of wood then keep reading and find out some amazing ideas we have for you. You can add color in your kitchen. 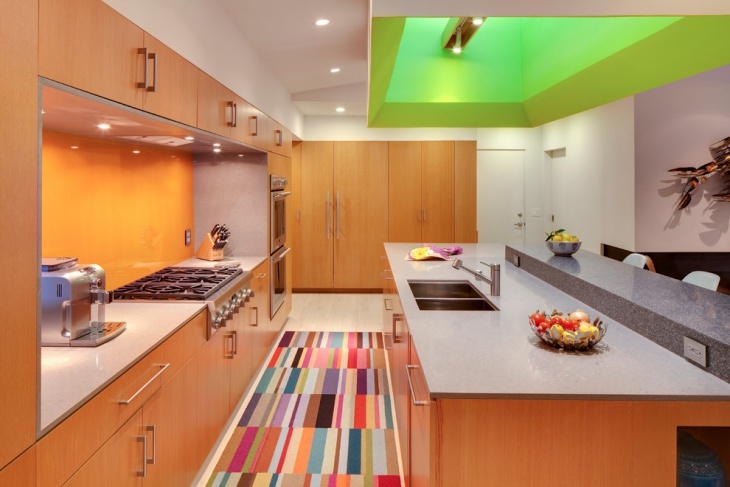 The green kitchen designs like this one get an instant uplift with bright green and orange. The colorful rug completes the atmosphere with a homey feeling in a pleasant and fun way. 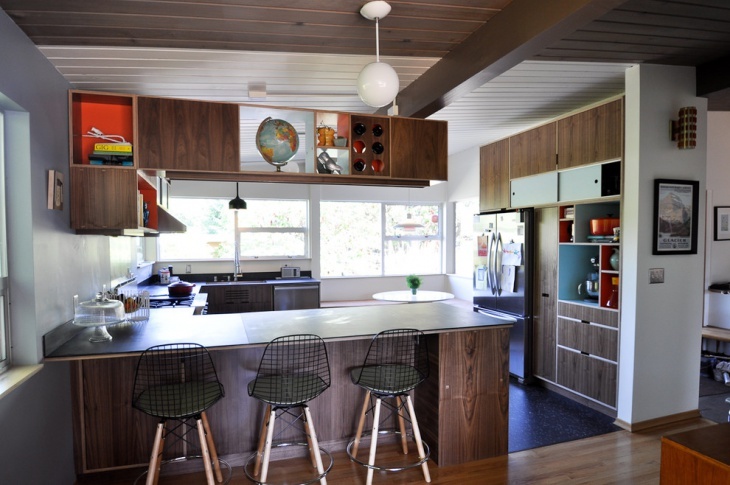 You can remodel an old mid century kitchen by making only a few changes and still have the modern style. Replace the countertops with chalkboard ones and keep the accessories to the minimum to have a charming modern setting. 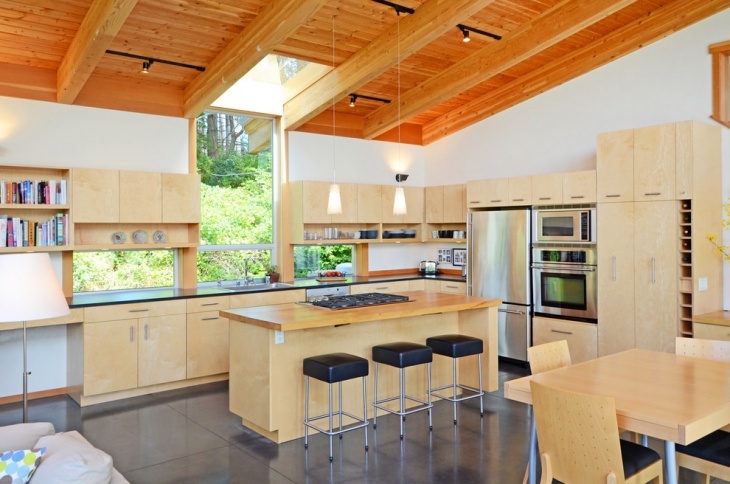 Incorporate the wood in your kitchen in other ways too. 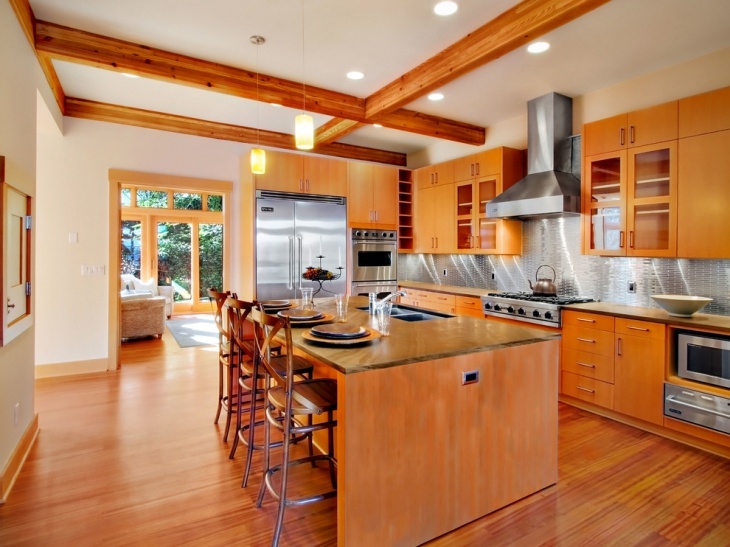 Use wooden planks for your kitchen’s backsplash. 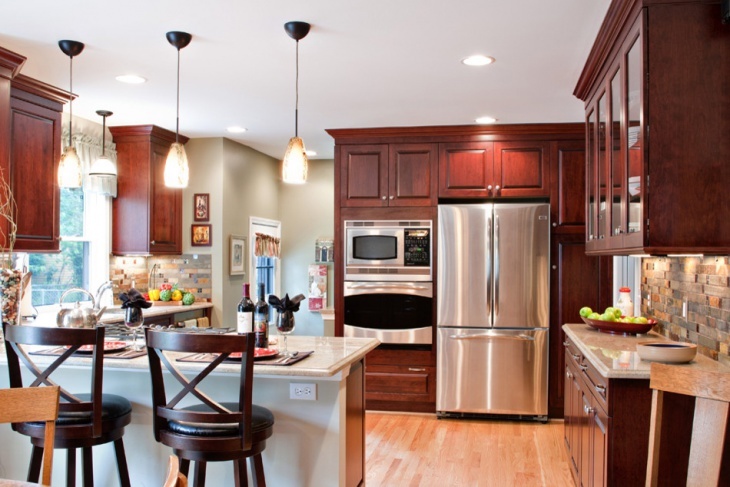 The warm brown tones will bring out the rest of the colors of your room giving you a pleasant kitchen to work in. 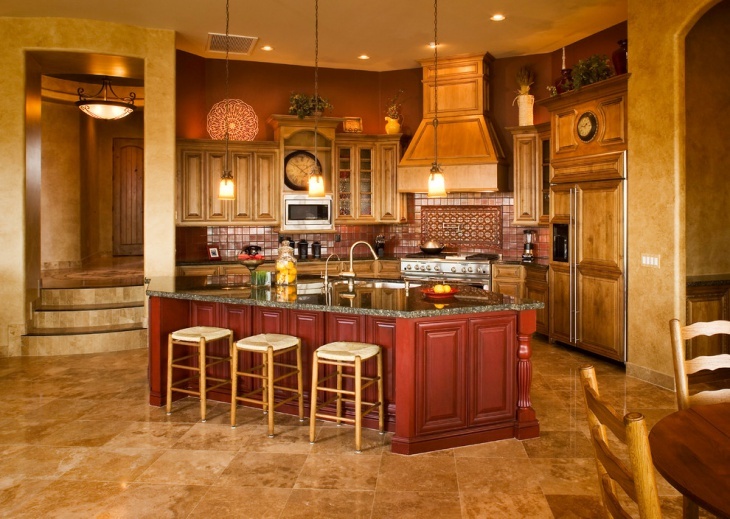 This luxury kitchen design creates an enchanting atmosphere. 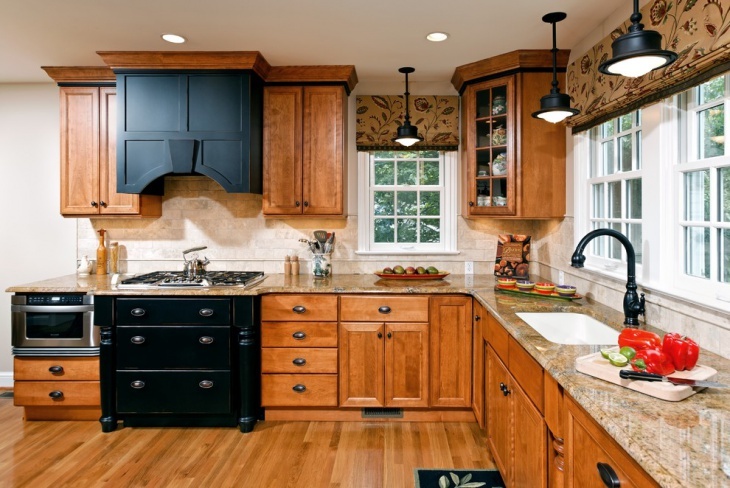 The stone tiled backsplash with the cherry wood makes for a creative cooking experience. You can use pendant lights for extra dose of elegance. Complete the style with high back counter stools. This light colored kitchen made from oak wood blends beautifully with the white backsplash tiles and cream floor tiles. The marble countertops with the silver appliances give the elegance the room needs to complete this transitional styled kitchen. Solid wood has its own beauty. 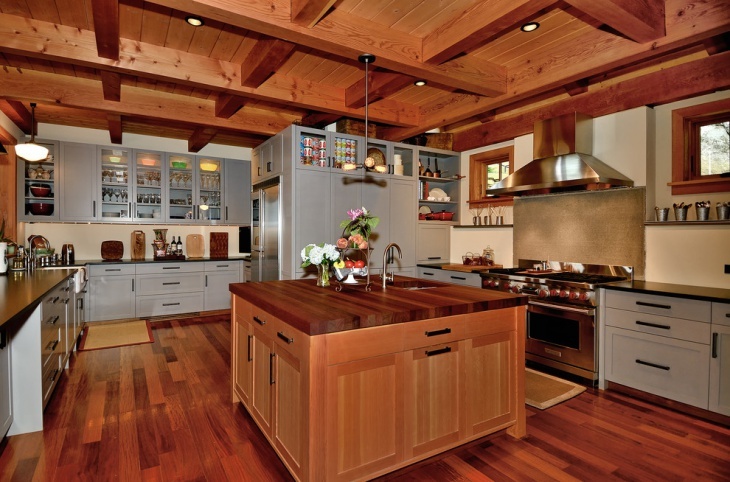 From the cupboards to the waterfall island to the wooden floor, the color brings a unity in this traditional kitchen. 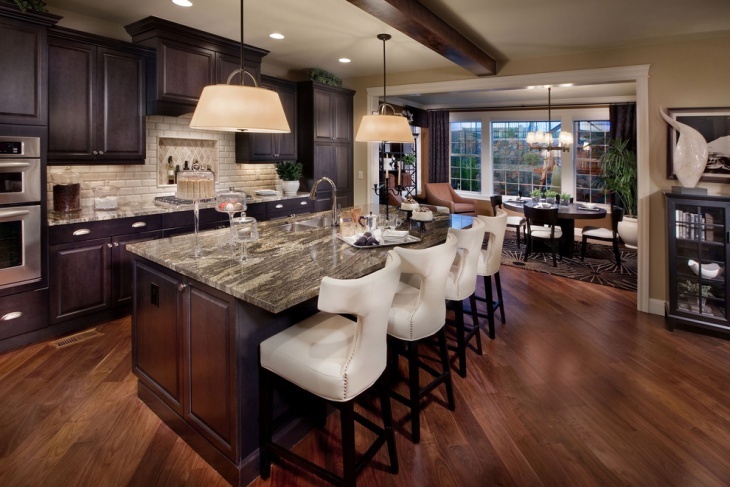 You can break up the color with granite countertops and black leather counter stools. 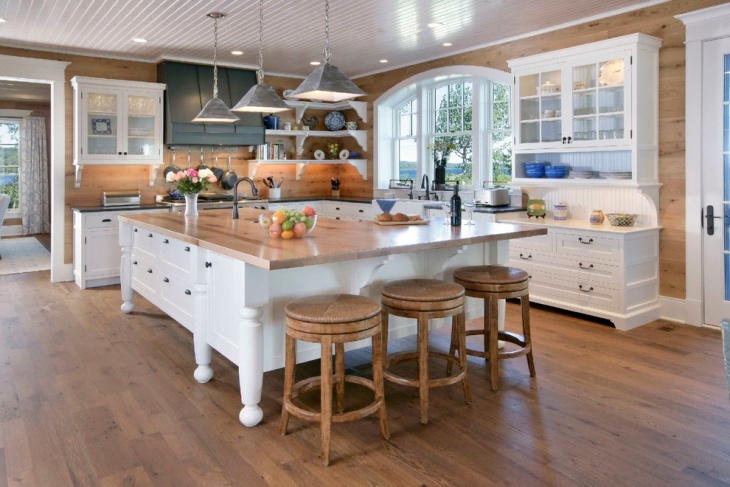 This traditional kitchen inspired by the Mediterranean style is perfect for your cottage. The openness of the room combined with the wood gives a charming outcome. You can use the same color scheme for the floor tiles and the walls. 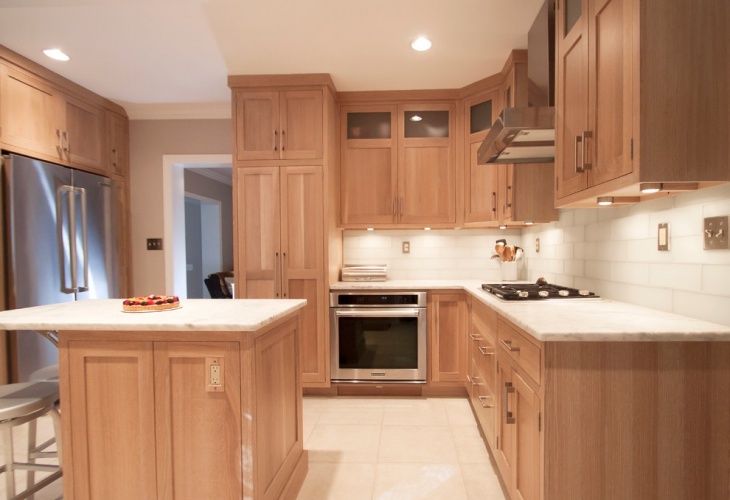 If you want to remodel your white kitchen then you can incorporate wood. 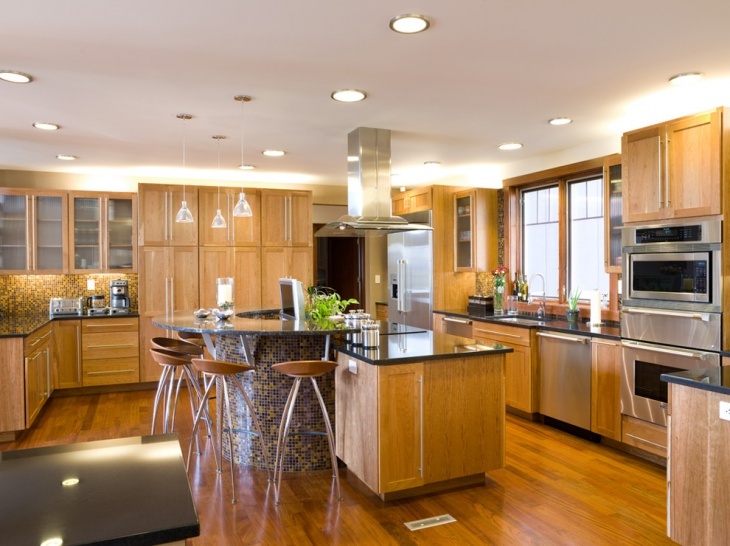 Change your countertops for wooden surfaces and use wooden planks for your walls. 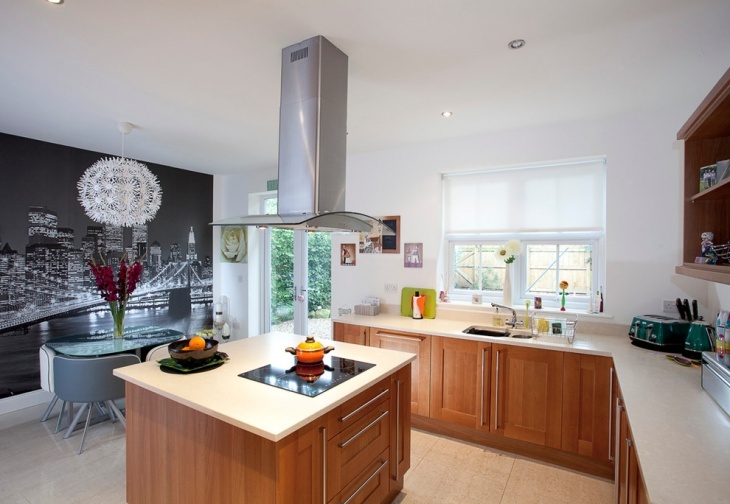 This, along with wooden flooring will create the perfect traditional kitchen for your house. 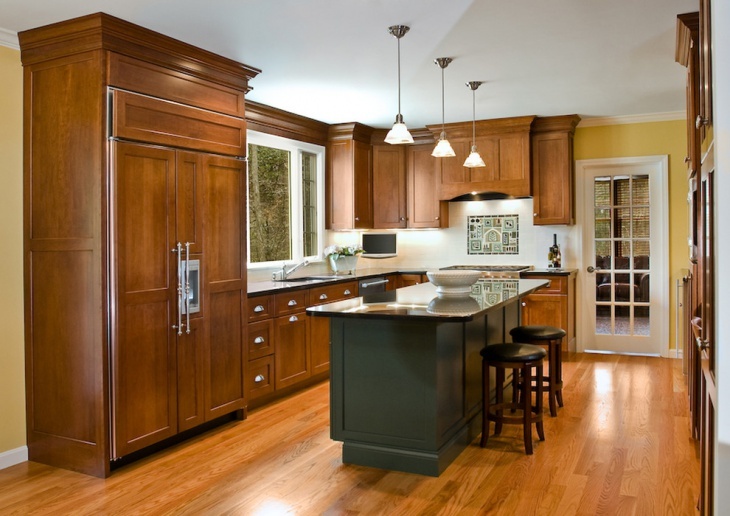 If you want a wood kitchen then you have plenty of choices depending on style, color, and décor. You can renovate your entire kitchen. 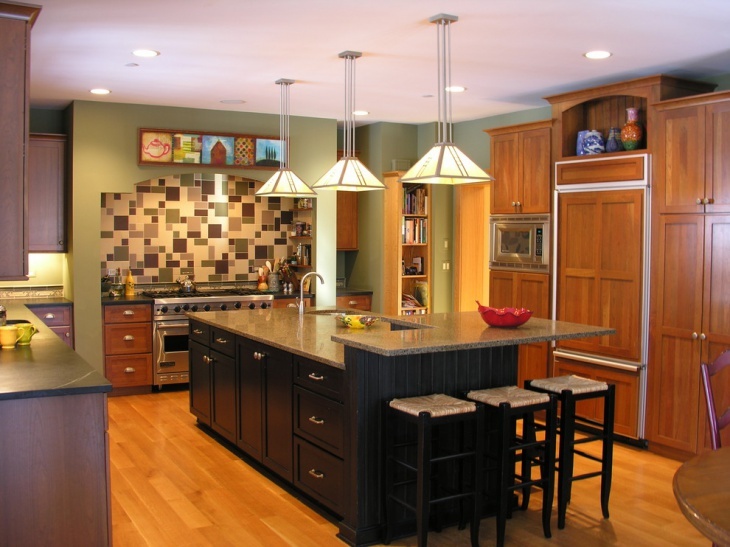 You can also do small changes by adding a wooden backsplash or changing the flooring to resemble outdoor kitchens.